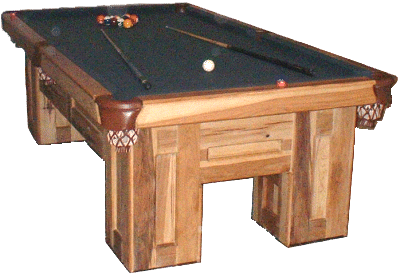 Building your own pool table is a rewarding project. If you have some basic woodworking skills, you can build a quality hardwood table. < This site contains all the parts for a pool table minus the wood. Slate, pockets, felt etc can all be found on the online catalog. This project took around 70 hours and roughly $1500.00. Around a $1000 for the slate and other parts and $500 for the wood. The result is a beautiful, hardwood table that equals, or surpasses high production tables.